Coastal Companion Care provides personalized care to individuals needing in-home assistance. Each caregiver provides services customized to meet the needs of each client and are supervised by an RN Nurse Supervisor. As a non-medical home care provider, our services support in-home independence and assist in Living Well at Home. Coastal Companion Care provides personal care and companionship to assist individuals in functioning in the comfort of their own home. Our services can provide peace of mind for our clients and their loved ones, along with respite services for a family caregiver. Our services range from short-term rehabilitation to Companion and Personal Care Services. Our services can assist with morning, afternoon and evening routines, with a goal of enabling clients, families, or both, to remain and function in their home as long as possible. Services can range from providing 3 hours per week to give respite to a family caregiver, up to 24/7 care for individuals needing support around the clock. Transitional Care services can provide much needed support for individuals transitioning to home after a major surgery, such as hip or knee. Our caregivers can support your post-surgery rehabilitation plan and significantly impact recovery through assistance with ambulation, therapy routine, exercises, and transportation, to name a few. Every 65 seconds someone in the US develops Alzheimer’s. By the year 2050, it is projected that nearly 14 million people will have this diagnosis. At Coastal Companion Care we are identifying caregivers with Alzheimer’s and Dementia experience to provide personalized care catered to the needs of individuals with this diagnosis. 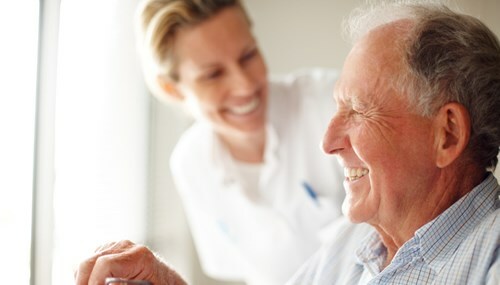 Assistance with Activities of Daily Living – this can include bathing and personal care, grooming, assistance with ambulation and mobility transfers. Companionship – one of the most common things caregivers enjoy most is hearing the stories of the individuals they are providing care to. Our caregivers will provide that companionship whether it be playing board games at home or taking a trip to the pier to see the water. Meal preparation – our caregivers can assist with preparing breakfast, lunch, dinner, or your favorite snacks, along with cleaning up afterwards. Light housekeeping – if you are needing assistance around the house our caregivers can help do laundry, change linens, and keep living room and kitchen areas clean and safe. Medication reminders – our caregivers can help remind individuals when it is time to take their medication. Transportation – our caregivers can provide transportation either in the caregiver or the client’s vehicle. This creates an opportunity to get out into the community, which can include: Doctor appointments, Therapy appointments, visiting the park, doing errands, grocery shopping, going out for a meal, and viewing the water, just to name a few. Respite – Family caregivers are often the primary caregiver for individuals needing home care services. At Coastal Companion Care, our services can provide a brief period of rest or relief for the family caregiver.